Pat Sullivan, president and owner of Game Creek Video, the largest independently owned mobile production company in the United States, will speak at the University of New Hampshire’s CEO Forum on Thursday, April 26. The program begins at 8 a.m. in Huddleston Hall. 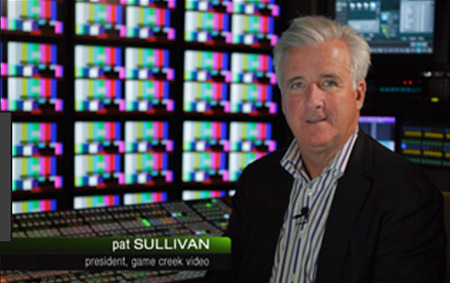 Sullivan is responsible for strategic planning and corporate sales for Game Creek Video, which provides remote production trailers to clients including ESPN, The YES Network, MASN, NESN, CBS, ABC, NBC, HBO and FOX Sports. Sullivan has overseen the dramatic growth of the company, having built 32 remote production and support facilities in the last five years. Game Creek launched the first IP based remote production facility in the world in 2014 and has now helped facilitate over 60 live 4K Ultra High Definition productions for various clients. 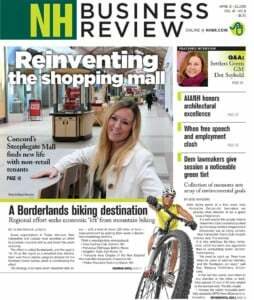 Sullivan was inducted into the Sports Broadcasting Hall of Fame in 2015 and was selected as the New Hampshire High Tech Council’s Entrepreneur of the Year in 2016. Celebrating its 20th year, the UNH CEO Forum is an outreach program of the UNH Paul College of Business and Economics exclusively serving CEOs, presidents and senior managers of companies in northern New England. This event is free to members and $49 for first-time attendees. To register, call 603-862-1107 or cfb.ceo@unh.edu. The UNH CEO Forum is sponsored by Pierce Atwood, Optima Bank and Trust, Sprague Operating Resources, Checkmate Workforce Management Solutions and Crystalvision.